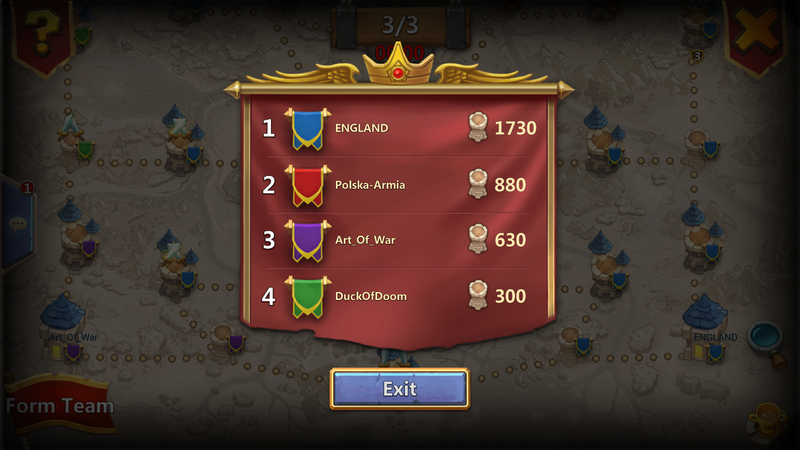 ENGLAND is a top 30-50 ranked guild on the U.S. Android server, and we are looking strong, active, and respectable players to join our family. We are always looking for new, friendly members to enjoy the game with us, but we are also a competitive group that strives to excel in all guild events. We score well in Guild Wars and finish 1[sup]st[/sup] most of the time in Fortress Feud. We have plenty of quality experienced players who are more than happy to provide assistance and encourage your progression in the game. Many of us are farming Insane Dungeon 7-10, HBM AG, Lava 3/4, Infernal Summit, etc, so whether you want to learn from the best or be a part of the best, this is the guild for you. Guild Wars is mandatory and you must be able to consistently score well. We communicate mainly via the Line app, and all guild events are coordinated in our Line chats. Line is a free messenger app you can download from the Google Play store. Be mature and respectful to other members, and adhere to all chat rules and etiquettes. Spamming, flaming, and any form of rudeness will not be tolerated. Minimum might requirement is 165k. Boss 4 everyday at 16:00 server time. Boss 5 everyday at 16:30 server time. Fortress Feud ran at the 12:00-13:00 time slot. Torch Battle attendance is NOT mandatory, but please do not send any torch haulers until 20:45 server time. If you can make torch time, we would encourage and appreciate your participation. We have a separate line chats for Lava 3, Lava 4, and IS with set guild methods. You are welcome to join if you meet the requirements, but if you do not we will help you get there. Message either baandaa, lukeb123, or locuraniner on Line to join or if you have any questions. We’d love to have you! Our most recent FF result. Where will you be come Sunday? Here we go... It's bumpin' time.